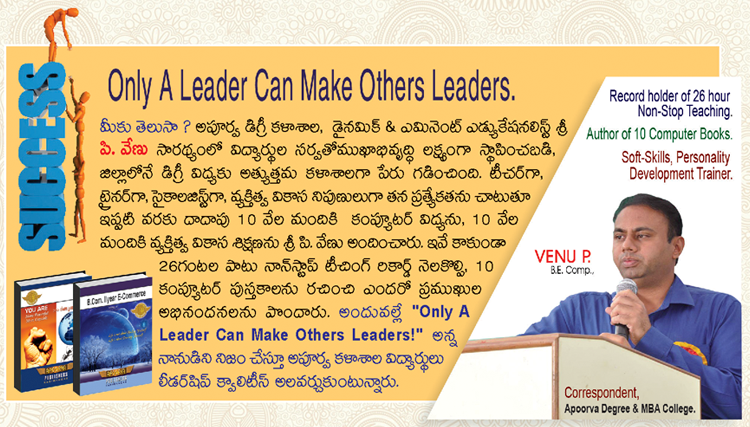 The correspondent of the degree college is a young educational enthusiast Mr. P. Venu. He holds a record of 26-hour non-stop teaching and he is the author of 10 computer books. His areas of interests include computers, personality development and psychology. He imparted training in computers and soft skills to more than 10000 students. He is a phenomenal memory award winner.